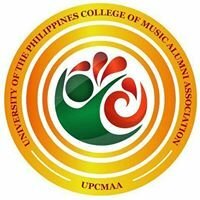 This is the official Facebook page of the University of the Philippines (UP) System. The UP Media and Public Relations Office maintains this. UP is composed of eight constituent universities and one autonomous college located in 17 campuses throughout the Philippines. 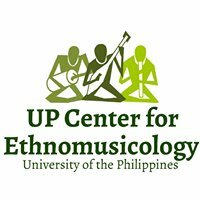 UP Diliman offers the most number of undergraduate and graduate degree programs and is composed of almost 50 percent of the entire UP System student population. UP Manila is the leading academic institution in the health sciences. It is home to the National Institutes of Health and the UP Philippine General Hospital, the country’s largest government tertiary hospital. UP Los Baños in Laguna—roughly 65 kilometers south of Manila—is the country’s recognized leader in agriculture, forestry, and environmental management. Because of its location at the foot of Mt. Makiling and its fields of expertise, it is host to two international research institutions: the International Rice Research Institute and the Southeast Asian Ministers of Education Organization Regional Center for Graduate Study and Research in Agriculture. UP Visayas, with its three campuses in Iloilo City, Iloilo; Miag-ao, Iloilo; and Tacloban, Leyte, is the acknowledged authority in marine science education and research, fisheries, and aquaculture in the country. Its research endeavors are supported by the following facilities: Brackishwater Aquaculture Center, Freshwater Aquaculture Station, Batan Mariculture Station, and Marine Biological Station. UP Open University is the pioneer institution in distance education and open learning in the Philippines. While its base of operations is in Los Baños, Laguna, it is basically a virtual university—providing quality education to students in the country and abroad who are not able to attend conventional colleges and universities due to personal or professional constraints. UP Mindanao is the only constituent university created by law, in response to the clamor of the people of Southern Philippines to have equitable access to a UP education. Architecture, biotechnology, and agribusiness are UP Mindanao’s strongest programs. As of 2012, the Commission on Higher Education has declared 24 units of the university as Centers of Excellence; while 6 units have been declared as Centers of Development. The University boasts of 246 undergraduate degree programs and 362 graduate degree programs distributed among its constituent universities—the most offered by any institution of higher learning in the Philippines. Excluding students in the basic levels (preparatory to high school), undergraduate students comprise 79% of UP’s student population. Graduate students, meanwhile, comprise 21% of the University’s student population, thriving under a continually progressive graduate studies framework of uncompromised excellence. 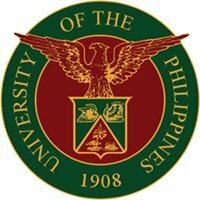 In the ranks of the UP faculty are some of the best minds in the country, among these are National Artists, prize-winning writers, renowned scholars, national leaders, and scientists. With full support and encouragement from the University, the faculty is also actively engaged in pioneering researches that have helped redefine academic directions, generate new knowledge and shape national policies.